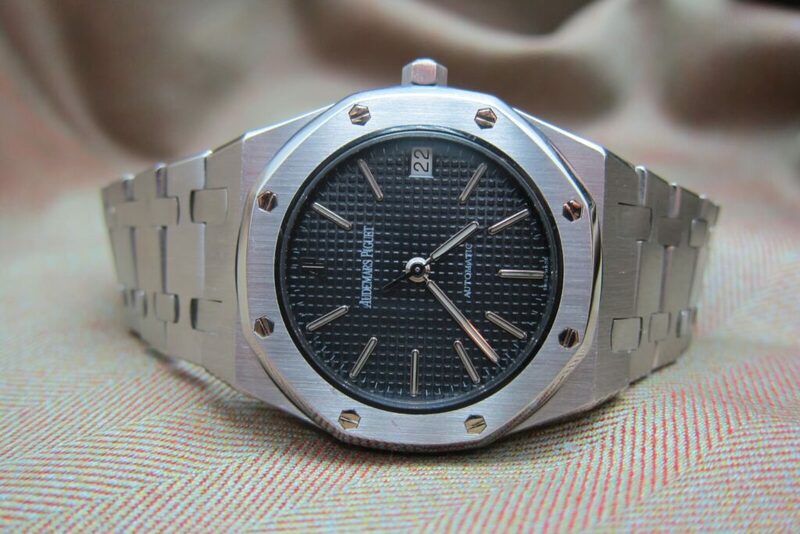 I love the Royal Oak, the quintessential 70s classic as contemporary today as it ever was. This specific timepiece is from the earliest non jumbos produced and was a gift given at a visit in 1981 at Le Brassus (AP’s manufacturing facility). 35mm case, thick and sharp conditions. The Dial is anthracite color and shows navy / black / grey depending on lightinh. The bracelet is in decent conditions. The AUTOMATIC movement is running well. Overall a fantastic watch and very hard to come by these days.